Super Savings Item! Save 40% on the May Arts EX-45 Ribbon, Green Holly Leaves by May Arts at Designers Artists. MPN: EX-45. Hurry! Limited time offer. Offer valid only while supplies last. This 15 yard roll of green satin holly leaf cut outs is a fun addition to handmade greeting cards and scrapbook pages and Christmas decorations. 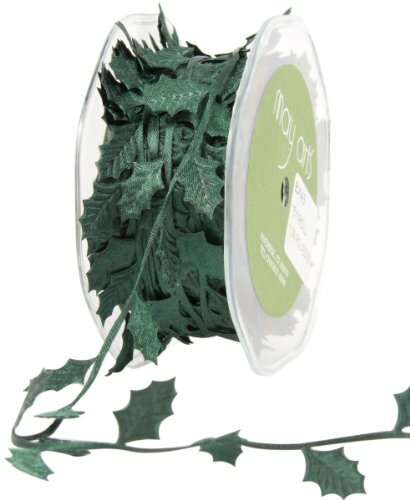 This 15 yard roll of green satin holly leaf cut outs is a fun addition to handmade greeting cards and scrapbook pages and Christmas decorations. Decorate treat bags and party invitations. Other styles of satin cut outs are also available.